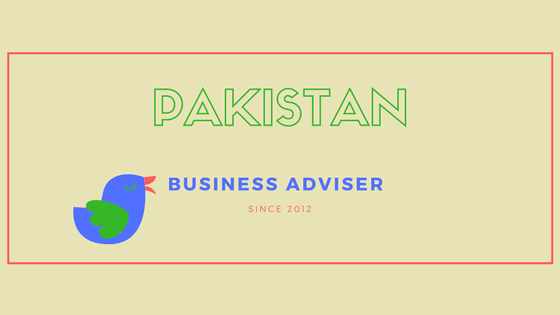 As our discussion on Pakistan foreign company registration-formation information, we serve foreign investors to register new company (private limited company registration in Pakistan), Joint Venture, Branch office, prepare accounts, income tax and audit services. Company Registration Authority Company Registrar Office and Security of Exchange Commission. Note: Company is registered as private limited company by shares is regular practice in Pakistan considering foreign share holders. · As fast track registration services name is registered by four hours in same day (if no objection is found). · PKR 500 for normal and PKR 1500 (fifteen hundred) for swift mode (off line registration) policy. Company Registration · Company is registered as off line and/ or on line policy. · Two or more directors (share holders) are required to register private limited company and three or more directors (share holders) are required to incorporate public limited company as law of Pakistan. · As Fast Track Registration Services company is registered within short period after verifying Chalan of fees, Memorandum and Article of Association and other forms accordingly. · Appoint first chief executive If company is Public Limited. · Appoint auditor within sixty days after company registration. · Appoint Company Secretary (chartered secretary) within fourteen days after company is registered. · Hold first AGM within eighteen months of incorporation and 15 months in next onward AGM. · Submit Article of association limited by shares and Articles of Association of Single Member Company as desirable. · Prepare and submit Memorandum of Association as type of business category. For 100 percent foreign subsidiary companies are recommended to make authorized capital US$ 50,000. To incorporate such company what authorized capital is US$ 150,000 can have minimum 2 (two) directors and maximum 7 (seven) directors. To register such company government official cost can be stand of US dollar 1000. For joint venture company as Pakistan foreign company registration-formation: to register a company where local persons are appointed as nominee or representative director to start such business in Pakistan may need short time to complete whole procedure. For wholly foreign ownership company as Pakistan foreign company registration-formation: to register full foreign ownership company security clearance from government shall come in picture. But prior approval from national security, ministry, defense, state bank and other department are not mandatory. It may need 5 (five) weeks in total time to complete whole procedure of registration. For joint venture company as Pakistan foreign company registration-formation: to register JV company where local and foreign partners agreed to enter into contract to start a business capital may need of US$ 1000 at the beginning. To complete whole registration process it may not far from one week to ten days in total. Authority: All applications are submitted to Government register office at first and another authority is Board of Investment that is second authority department of new business registration in Pakistan. Ques: Who is the authority of new company registration in Pakistan? Ans: Company Registrar Office and Security of Exchange Commission. Ques: Which is the best method to register a company? Ques: How to register a company in Pakistan step by step? Ans: Company name reservation, prepare MoA and AoA, Appoint secretary and auditor. Ques: How many directors (partners) are required for company registration in Pakistan? Ans: Two (2) or more partners are need in case of private limited company.